This was the sold-out launch of second EP ‘Blindside’ from singer/songwriter Caswell, and was also a showcase for two other very talented performers in an excellent venue. There was already a substantial audience when Alfie Indra started his set with ‘Hard To Cope’. His recorded songs and live performances are normally with a full band but tonight we had the low-key backing of 4-string tenor guitar or electric piano allowing the lyrics to shine through. His vocal style was well suited to this intimate performance space. New single ‘Monster Under The Bed’ and ‘Cool People’ (with crowd joining in) were particularly impressive. Hydra Lerna is a multi-talented songwriter/singer/producer; creating her original music from electronic loop patterns driven by keyboard and an instrument not often seen in this setting, the harp. Current single ‘Reckless’ was the stylish opening track; with distant, longing synth tones and a waterfall of strings establishing the structure ready for Hydra’s rich, compelling vocals. The song builds up into a many-layered soundscape with glorious recurring chorus before fading back to just the harp. In ‘Angel V. Psycho’ the harp sound is processed into a tortured electric guitar tone weaving through a personal lyric set to an easy, relaxed rhythm then the heartfelt words of ‘Distraction’ were explained to the audience before the sparse electronica made the point elegantly. A solo harp version of Dua Lipa’s ‘Electricity’ fitted in smoothly before the uptempo finale ‘Hydra’ brought this stunning set to a close. With nearly half a million streams on Spotify, ‘Animal’ was a strong set opener, its soulful groove immediately showcased Caswell’s expressive vocals. ‘Surface’, my favourite song from the new EP featured early on with its anticipation-building introduction resolving into a hypnotic anthem. This was one of the many songs that highlighted the dynamic range of her three-piece band; going from subtle keyboards and busy percussion to bold brushstrokes of electronics and thunderous bass during the show. 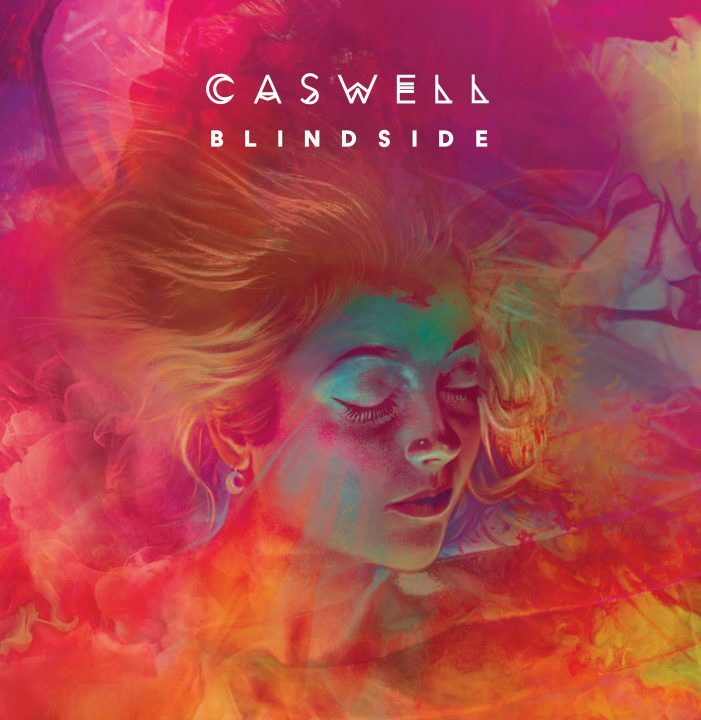 We were treated to a mighty re-imagining of Portishead’s ‘Glory Box’ with its familiar descending chord sequence underpinning vocal fireworks, contrasting with the restrained emotions of ‘Cry’, a gorgeous ballad from Caswell’s well-received first EP ‘The Shadow Aspect’. From that same release it was ‘Dance Sober’ that really set the room alight – it is the sort of song that you think must have been a huge hit already and this extended version pushed all before it, Caswell’s voice scaling the heights, the band letting loose and a guest rapper included too! After the adrenaline filled set, the calm encore of ‘Brother’ was a calming, thoughtful end to the show, sending a very fortunate audience off into the night. This entry was posted in Music and tagged Alfie Indra, Blindside, Caswell, Hydra Lerna, Ipswich, live, review, Smokehouse on April 6, 2019 by iknoweno.